Google Analytics brings full-featured monitoring and tracking software to your web kit that allows you to have up-to-date information on the status of your site’s most important features. What does this entail? Such essential features as keyword monitoring, traffic analysis and content overviews help you not only keep tabs on who is coming to your website but also how they are perceiving your content. We will discuss a few simple points that will give you the ability to improve the overall design and content of your site while simultaneously increasing traffic. An overview of your best performing keywords will tell you volumes about how your site is currently performing. This information is available under the Traffic Sources section within Google Analytics and details the number of visits each keyword has brought to your site, in addition to the total percentage of keyword-related traffic each keyword or phrase has directed there. Using this information, you should begin to create more content on your site that ties in these keywords. You can also do other things, such as using these as anchor text in URLs and tagging images with the keywords. If you simply want to know about your keywords and haven’t registered with Google Analytics yet, you can also use Pingler’s Multiple Keyword Rank Checker Tool to gather the same information. If you want to allocate your resources to be as effective as possible, then you will want to make sure to focus your optimization techniques to compliment the sites and search engines that are driving the most traffic to you. The Top Referring Sites data (available from within Google Analytics) will give you insight into which sites are boosting your traffic, allowing you to determine whether or not Bing or Google is your primary search engine, or whether individuals are remembering your site by typing it in directly. You can also evaluate advertising campaigns this way and assess which ones are performing well and which ones are not. You may also find some surprise sites in the list that are driving traffic to you; contact these webmasters in order to establish a more formal relationship. Determining which particular sets of content are well received on your site is the key to expanding your base of traffic. In Google Analytics, navigate to the Content Overview section and proceed to click on the Top Pages report. You will be able to see the number of page views, the number of unique visitors, the average amount of time spent on each page and quite a bit more. Try to determine what patterns (if any) exist among the top 5 or so most viewed pages. From this information, you will be able to discern what your visitors are looking for when coming to your site. You can then proceed to craft a plan for the future that will take this into account and create custom content that brings your first time visitors back and attracts new visitors who will hopefully become loyal site frequenters. Great tutorial bro…it’s really most useful tips for bloggers. 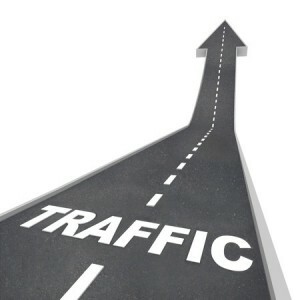 I’ll wait your next article How to increase traffic blog. Very nice post. lots of information about Google Analytics. Thanks. Some great information on Google Analytics here! I have found my bounce rate around %12. Great tutorial, but how to add google analitic to my website?? There’s a new Google Analytics feature in Beta called Real-Time, which many webmasters aren’t aware of. Go to your Analytics Home page, and look for the Real-Time link at the top of the left navigation panel. Click the link and start by selecting Overview. Now you will see how many people are on your site, right now! You’ll also see a lot of information about them. Give it a try! Thank you for the information on Google Analytics. I will try to implement it to my site.